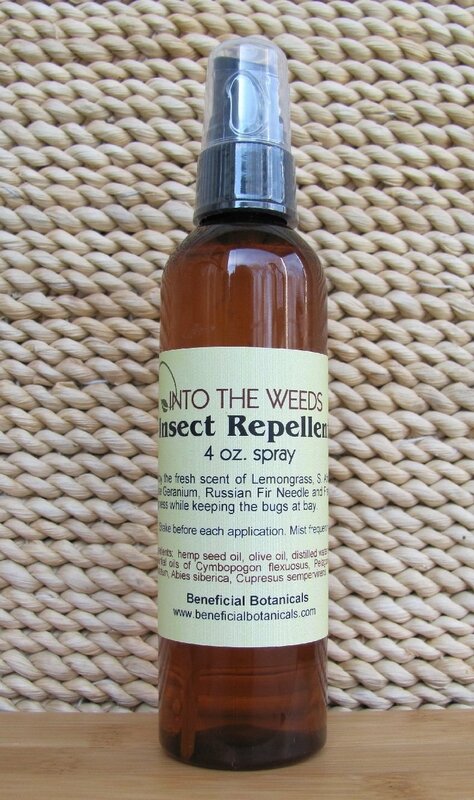 Into the Weeds Insect Repellent is a natural solution for your best protection against mosquitoes and fruit flies. Camp comfortably and enjoy the fresh scent of this insect repellent as a potent and pleasant alternative to citronella or tea tree. Essential oils of Lemongrass (Cymbopogon), South African Rose Geranium (Pelargonium capitatum), Fir Needle (Abies alba) and French Cypress (Cupressus sempervirens) work well to repel insects but won't repel people! This product is the refill-replacement for the Into the Weeds First Aid Relief Kit, or it may be used separately for your next patio party or outing.